An epic East African overland adventure with a bit of Southern Africa thrown in just to make the trip that extra bit special. 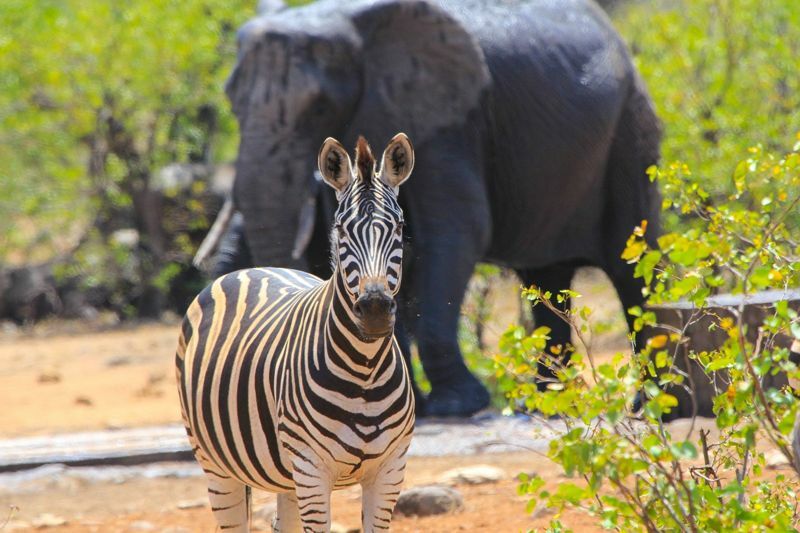 Starting in Johannesburg you will make you way straight to the beautiful beaches of Mozambique before going in search of the big 5 in the famous Kruger National Park. 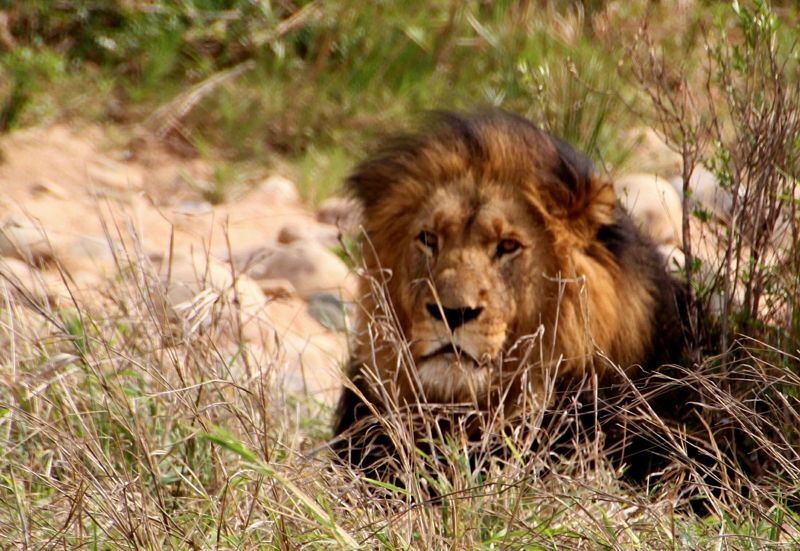 Further North into Zimbabwe and you will get to experience the famous, Hwange National Park. Up next is the mighty Victoria Falls before going in search of white sandy beaches along Lake Malawi, Dar es salaam and the tropical island of Zanzibar. Time to get your cameras out as you go in search of wildlife in the world renowned Serengeti and then finally, make your way up into Kenya to finish your trip in Nairobi. A great combination of East and Southern Africa, with all the top highlights covered. From Pretoria, South Africa’s Administration city, we travel via the panoramic region of Mpumalanga with its beautiful scenery and dramatic escarpment views, to South Africa’s famed Kruger National Park and spend the night outside the reserve. Fences between the National Park and surrounding private reserves were removed several years ago to form the Greater Kruger, an area of some 24000 sq km. Wildlife is free to roam the whole enormous area and it has become incredibly diverse in both fauna and flora. From the dwarf mongoose to the ‘Big Five’, almost every major African mammal (148 species) is present. There is also prolific birdlife (over 505 species) and over 330 varieties of trees. This evening we immerse ourselves in the local culture and enjoy Shangaan tribal dancing and singing around an open fire to learn more about these fascinating people. Today, we leave the Greater Kruger area and cross picturesque landscapes to the Mozambique border. NB: Border formalities entering Mozambique can be time consuming. We may be held here for several hours while the paperwork is completed. Your patience at such times and is greatly appreciated. Officials will work in their own time and we find the best way to proceed is to let them work at their own pace and wait patiently. Your tour leader will do most of the work, but he/she will be grateful for your understanding if things seem to be taking longer than they should. Once formalities are complete we make our way to Bilene for our first night along the tropical coast. You’ll immediately notice the pace of the tour change in Mozambique. Travelling is generally slower and road conditions more demanding making for an excellent opportunity to take in the surrounding scenery and village life. Campsites are not as well appointed but compensate with amazing location and views. Towns and shops have fewer goods or less variety so it’s essential to pack must-have items before arrival to Mozambique. While this can sometimes be frustrating most travellers find they’ve settled into the surroundings and realise this is one of the more appealing and attractive aspects of their overland tour. Overlanding is an adventurous type of travel and these are ‘unconventional’ holidays. We are sure you will enjoy Mozambique but do try to warn you not to expect things to be the same as elsewhere in Southern Africa. Bilene, also known as Praia do Bilene and was once called San Marthino is located 180km north of Mozambique and famous for the Uembje Lagoon (or San Marthino lake) where you can try out one of the best loved activities in Bilene – snorkelling! 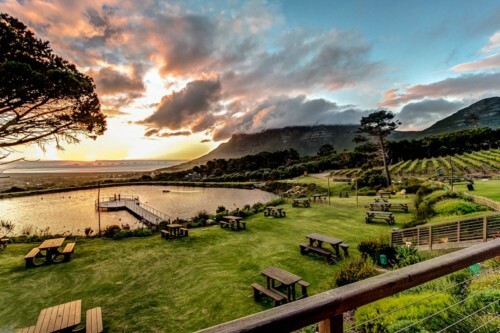 Our camp for the evening is located on top of the dunes overlooking the stunning lagoon itself. It’s here we spend the night lulled by the sound of the ocean and enjoy the fresh breeze as we unwind from our day. Today we travel along this scenic via Inhambane to Tofo where we will spend the next 2 nights. Tofo is a small beach town with lovely open beaches, where the pace of life slows allowing you to relax and soak up the atmosphere. There are many activities on offer such as horse riding, snorkelling and scuba diving. Whale Sharks and Manta Rays inhabit the coastline all year round but are in larger numbers in the summer months (November to March). 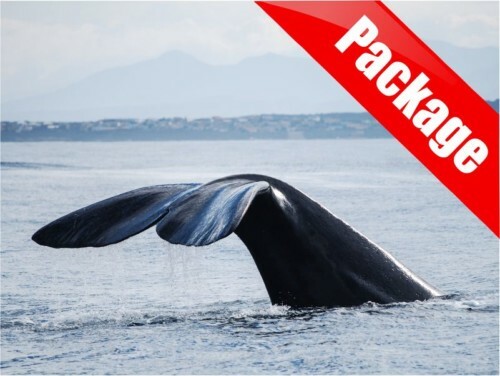 Humpback whales usually arrive around mid-June and are present until mid- October. The natural vegetation of the coastal plain is dune forest, but this has largely been replaced by coconut palms, planted by the Portuguese and local Bitonga people to supply the thriving copra trade. There are some exciting bars and restaurants in the area – sample the local seafood, the area is famous for it – and the local beer (called ‘2M’) or else simply relax and enjoy a good read. Today is a free day to enjoy the local tropical beaches and the many activities on offer. Nearby Inhambane has a rich history and offers a great opportunity to go out and explore the old city. Climb the ladder at the Cathedral of our lady of Conception Inhambane for fantastic 360-degree views of the surrounds. The local markets are also a highlight with fresh fish, seafood and farm produce on sale. You’ll soon see the mix of Arabic and African cultures that create a vibrant, eclectic style of its own. If the delights of the ocean are your forte, then head out and explore the reefs and colourful marine life found in this warm watery haven. Vilankulo (or Vilanculos), the Gateway to the Bazaruto Archipelago. Named after a local tribal chief Gamala Vilankulo Mukoke, the town itself is only 5km long yet is a hive of activity, has a lively atmosphere and friendly people. On arrival, we gather our luggage and snorkels for the following day’s island trip and board our traditional dhow boat to our ‘rustic ‘bush camp. The beach camp is located on a remote stretch of the coast approximately 90 minutes sail from Vilanculos town itself. We arrive in the late afternoon and settle in to our beach camp for the next 2 nights. After breakfast we take our dhow boat to Magaruque Island, the third Island in the archipelago and the closest to Vilanculos. Here you can enjoy the island at leisure, snorkelling, swimming, walking or simply enjoy lazing on the pristine beach. A delicious seafood lunch is included in our Dhow Safari. With its powdery-white beaches, turquoise waters, and superb all-year round climate, Magaruque is perfect to relax, unwind and explore the local marine life. We return to our beach camp in the late afternoon to overnight. Chicamba Dam. Our campsite is located within a 550-hectare conservancy. The dam is a favourite for bass fishing where a catch and release program ensures the fish are conserved and can continue to grow in number. There is also a local environmental centre that aims to educate the local school children in the importance of conserving the local fauna and flora. We set up camp close to the dam and enjoy our last night in Mozambique before we cross the border into neighbouring Zimbabwe. We depart early in the morning and cross the border into Zimbabwe and if time allows stop at the specteculr Birchenough Bridge (named after Sir Henry Birchenough). The bridge spans the Save River on its 400 km journey through Zimbabwe and Mozambique and is one of many scenic features of eastern Zimbabwe. We then make our way to Masvingo. Nearby is one of the most important archaeological sites in Southern Africa: The Great Zimbabwe National Monument. Dating back to 1200 AD this was once the home to an indigenous population of some 10,000 people. A UNESCO World Heritage Site, the area holds special significance from which the country took its name. Legend says this was the city where the Queen of Sheba resided, and Archaeological finds uncovered gold, coins and porcelain from as far afield as Persia and China, highlighting the importance of the city as a trading post. We camp nearby for easy access and ample time to explore the ruins at leisure with a resident guide who will explain the significance, history and culture of the area. If you have the energy there is the opportunity to trek to the top of the Hill Enclosure to enjoy a wondrous African sunset with spectacular views of the surrounds. Departing Masvingo, we drive to Bulawayo, Zimbabwe’s second largest city where we stop for supplies before heading to our campsite. The rest of the afternoon is yours to explore the surrounds at leisure. We explore the Matobo National Park on our half day guided tour. The wind-sculptured Matobo Hills are the site of numerous Bushman paintings and the area holds a special cultural and spiritual importance to the indigenous people. The reserve also has a large concentration of the Black and White Rhino and providing it’s safe to do so our guides will lead us on foot to search for these magnificent animals. Approaching these massive beasts is a heart racing, breath- taking and memorable experience. At such times it may be comforting to remember that rhinos are herbivores. The park also has a dense population of leopard and black eagle and we hope to catch sight of either (or both) these creatures. We also keep a look out for giraffe, zebra, ostrich and a variety of antelope and buck species. Note: There is an option to upgrade to a full day Matobo tour to include various historical sites. 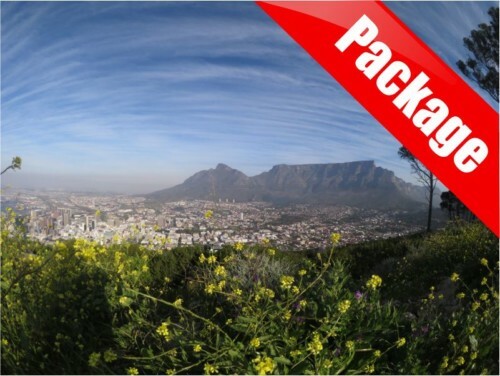 The price is listed in the optional excursions and can be arranged with your crew on the day. Today we leave Bulawayo and head for the world-famous Hwange National Park. This is Zimbabwe’s largest and best- known park and was (in the early 19th century) the royal hunting grounds of the Ndebele warrior-king Mzilikazi. In 1929 it was set aside as a National Park for the benefit of all Zimbabwe’s peoples. The park covers an area of over 14,600 sq km and is particularly known for its elephant but contains over 100 mammal species including Africa’s “Big 5″ (leopard, lion, elephant, rhino and buffalo), as well as giraffe, cheetah, gemsbok and the brown hyena and abundant bird archaeological finds uncovered gold, coins and porcelain from as far afield as Persia and China, highlighting the importance of the city as a trading post. Leaving the wilderness of the Hwange National park, we make our way to Victoria Falls, where we have the opportunity to enjoy the spectacular ‘Falls’ themselves and the mighty Zambezi River. The Zambezi boasts one of the world’s highest rated rivers for best white river rafting with its many challenging as well as novice rapids. After our visit to the falls there are many optional activities to do and you will have the opportunity to enjoy these at leisure. Explore the colonial town on foot and visit the local trading markets. 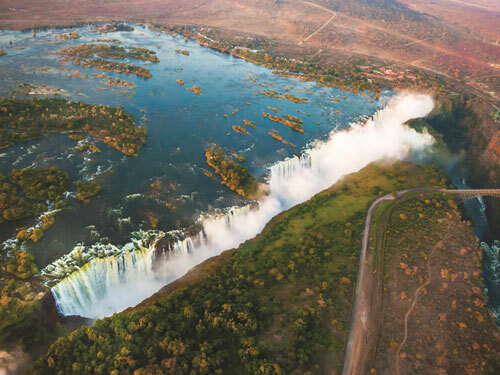 Some choose to cross the border for a day to visit into the neighbouring Zambia town, Livingstone; or take a leap of faith bungee jumping to the foot of the falls. From game walks, helicopter flips or jet boating to name a few, Victoria Falls will capture and fulfil your imagination, validating the myths of the African spirit. N.B: For the sake of practicality, meals in the Victoria Falls area are at your own discretion. This allows you to take on activities (some of which include lunch) without having to be back with the group mealtimes. The towns’ cafés and restaurants offer a good selection of reasonably priced meals and snacks (allow US$15-US$30 per meal). Relax and enjoy at your own leisure. 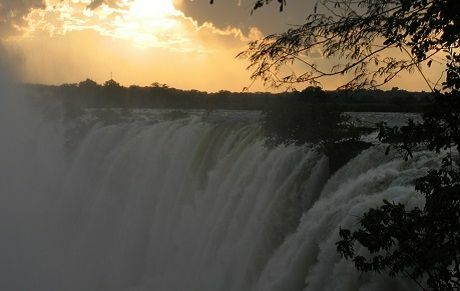 Today we transfer across the border into Livingstone to meet the new group and tour leader. Our camp is on the banks of the Zambezi, just a few kilometres from the border and the town of Livingstone. The rest of the day is at leisure allowing you to enjoy more of the activities available here. See our list of optional activities below for more details. NB: Please confirm times with your tour leader to meet your group in Zambia to start the 2nd section of your tour. A pre- departure meeting will be arranged so you can meet your new group. Please note that some of your fellow passengers may be finishing their tour in Victoria Falls. Today is yours at leisure to enjoy the many optional activities on offer in the area. Relaxed and revitalized from the wonderful stay in Falls/Livingstone area, we head through lush country and small villages to Lusaka, Zambia’s Capital city. Lusaka is Southern Africa’s fastest growing city with approx. 1.7 million people and is located on the southern plateau at an elevation of 1300m with four main highways running north, south, east and west to different parts of Africa. This city is the commercial hub as well as the centre for the government. Our campsite for the evening is set in a tranquil and relaxing setting on a farm. Please note that some group members may be starting their tour in Livingstone today. We leave early and take the Great Eastern Road through countryside and small villages, crossing the Luangwa River to the South Luangwa National Park, which is known to be one of the greatest wildlife sanctuaries in the world. The concentration of animals around the Luangwa River, and its oxbow lagoons, is among the most intense in Africa. There are 60 different animal species and over 400 different bird species inhabiting the area. 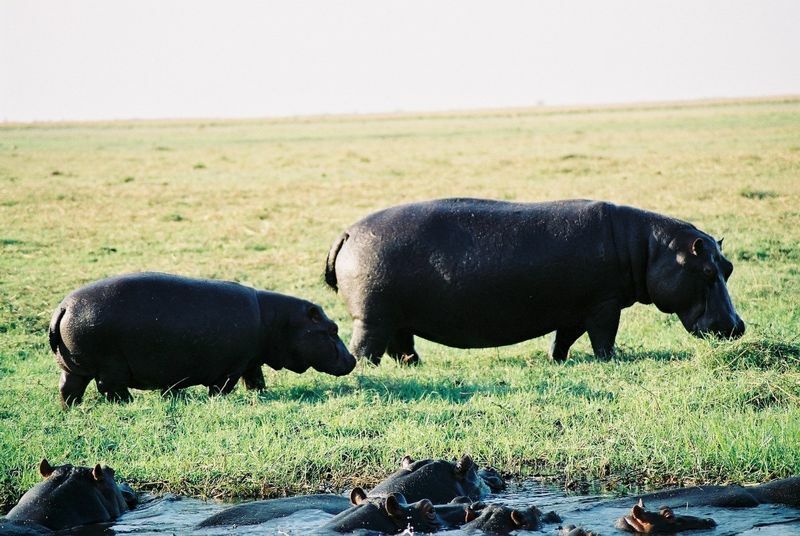 Hippo’s, elephants, lions, leopards, buffalo, giraffe with many other species flourish in the 20,000 sq miles of savannah woodland watered by this 500 mile–long river. The river itself is the most intact and unaltered major river system in Africa and covers 9059 km2. The changing seasons add to the Park’s richness, ranging from; dry, bare bushveld in the winter, to lush green lands in the summer months. On arrival we set up camp and enjoy the rest of the day at leisure to enjoy the many optional activities from walking safaris and village walks. *Driving times vary dependent on the number of stops en route. While we try to get to the camp in daylight, today is a long day on the road and we may arrive in the early evening. Leaving Zambia behind, we cross the border to Malawi. Please be patient as the officials process the group’s visas as this may take some time to complete. Lake Malawi formerly ‘Lake Nyasa’, covers almost a fifth of the country’s area and provides the source of livelihood for many of the Malawian people. Fishermen, fish traders, canoe and net makers all ply their trade, and a common sight is that of a fisherman in his Bwato, (dugout canoe made from hollowed out tree trunk) fishing on the lake at the break of day or with lanterns by night. The lake also has the highest number of endemic freshwater fish species of any in the world and attracts divers globally to seek out the many colourful Cichlid species. We arrive at camp on the lake’s shore in the afternoon and have the rest of the day to swim and explore the beach and surrounding area. Today you’ll have some free time to try some of the water sports available including diving and snorkelling, take a horse ride along the beach or simply relax and enjoy the warm fresh waters of Lake Malawi. There is the opportunity to meet the local people, generally known as amongst the friendliest in Africa, to gain insight into their way of life on an optional guided Village Walk, or you can simply head out and explore the lakeside, craft market and meet some of the locals. Taking a nice scenic drive through rubber plantations to Mzuzu – the capital of the northern region and the third largest town in Malawi, where we stop for a short while to grab supplies and check out the markets before arriving to Chitimba Beach where time is at leisure in the afternoon and evening to enjoy the picturesque Lake Malawi. Enjoy a game of beach volleyball or relax in the various lounge areas at this beach-side camp. Relax on the beach, take a leisurely village walk or do the full day trip to Manchewe Falls where after 11km of hiking you can cool off in a natural bath. The surrounding hills are home to the Livingstonia Mission where David Livingstone worked from for a time while staying in Malawi. The views from here are simply magnificent and well worth the effort of hiking to. For those staying at the campsite, there is a local craft market where you can enjoy learning the ins and outs of woodcarving your own souvenir, play the game of Bao, haggle for some souvenirs or enjoy a relaxing day admiring the shimmering waters on the beach. Leaving the Southern Highlands, we make our way east to Mikumi National Park. Our campsite is located a short stone’s throw from the park and we enjoy sundowners at the local bar/ restaurant followed by the evening around the open fire under the blanket of stars. If time allows we can go on an optional game drive in the afternoon to explore the magnificent park – Tanzania’s 5th largest. 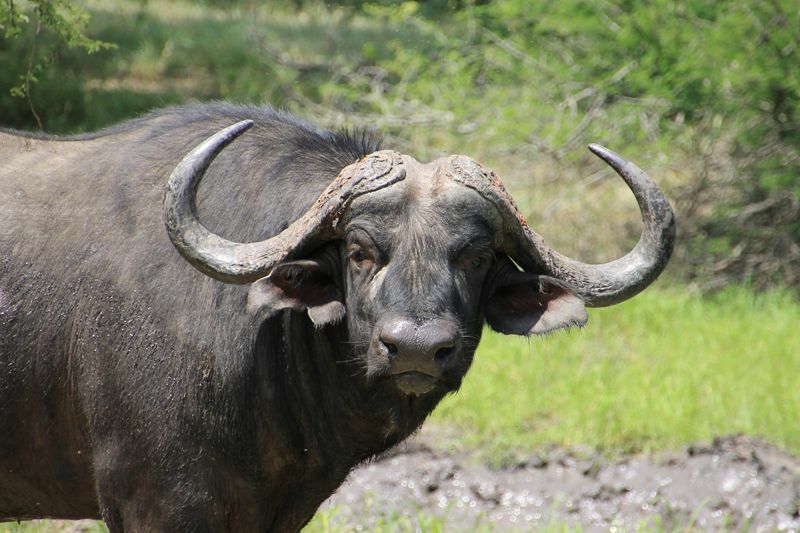 Expect to see Elephant, hippo, crocodiles, antelope and with some luck some buffalo or lion. We continue towards the Indian Ocean coast and the port city of Dar es Salaam (‘Haven of Peace’). This route runs through the Mikumi National Park and we may, with luck, spot forest elephant or giraffe feeding near the side of the road. ‘Dar’ is Tanzania’s hub of commerce and industry – a hot, humid and bustling seaport city of high rises, colourful markets and Arab influenced architecture on the coast accessing one of the most important sea routes on earth (with an interesting history too). To a majority of travellers, this city is the port of call to the more exotic Zanzibar and the remaining of the Archipelago islands. 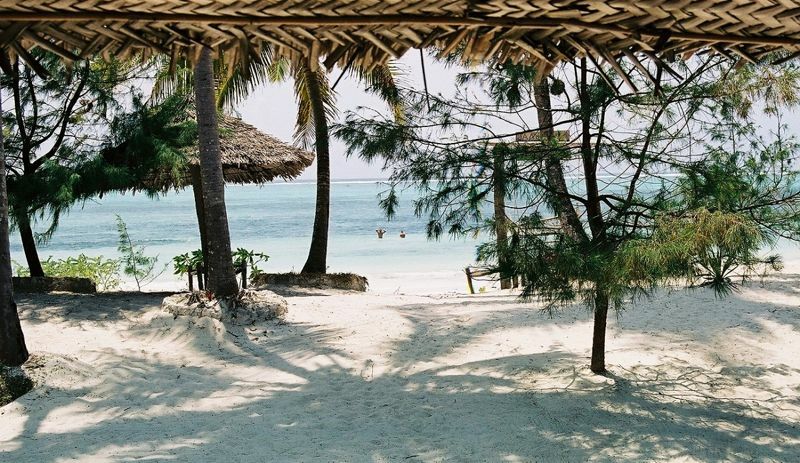 We set up camp at our campsite on the beach just outside of the city centre, usually having time to browse curio markets – best known for ebony wood – and prepare for our trip to Zanzibar. 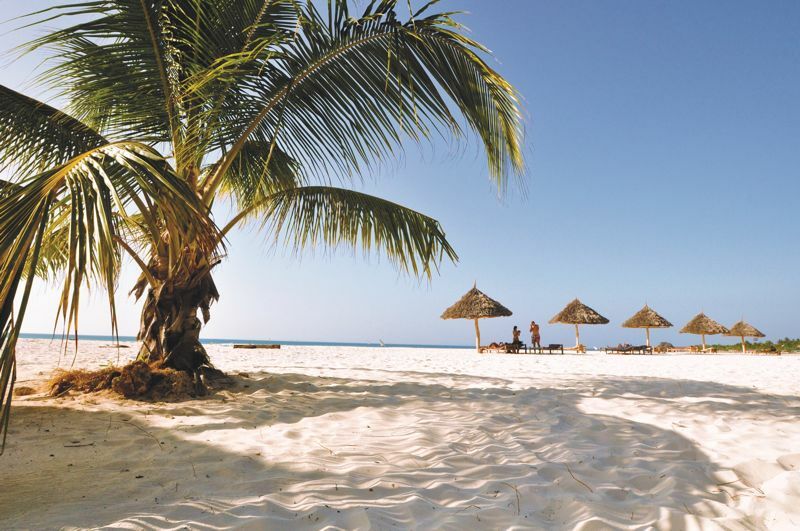 Evocative and exotic, Zanzibar conjures up images of idyllic, sandy, palm fringe beaches; romantic winding cobbled alleys and lush tropical forests. You will find all of these here – and an intriguing history. Zanzibar was the base of the great 19th century explorers John Hanning Speke, Richard Burton and David Livingstone, and was a major trading centre of spices. Indeed, the spice trade is centuries old: Zanzibaris have traded with the people of the Arabian Peninsula for generations, plying the ocean in simple dhow sailboats and relying on the annual trade winds for passage. The Arab influence is evident in the architecture and diverse street stall offerings of the capital, Stone Town. This influence can be seen right along the Eastern coast and the Swahili language itself is a result of the mixing of Arab and African languages and cultures over the centuries. Zanzibar’s other history is not romantic. The island was a staging post for slaves brought from the African interior and held here before being shipped to slave owners in the Middle East. You can still see the places where these men and woman were held – and even a short visit is enough to convey the appalling conditions they endured. Our time on the island over the next 4 nights is not structured and your time is at leisure. Perhaps the best way to see Stone Town is on foot: explore the bazaars for maritime trinkets, cloths, carvings; visit mosques, palaces, courtyards and alleyways of the old town. Spices are grown nearby, and you can take tours to visit some of the plantations: prepare to have your senses dazzled by the tastes and scents experienced. If it’s white sand, sparkling ocean and sun you prefer – head to the northern beaches and enjoy the Indian Ocean at its best. Try snorkelling and diving, indulge in some sumptuous seafood, or simply relax beneath the palms with a cocktail and a good book. NB: As we leave the truck on the mainland, basic tourist class accommodation and breakfast on Zanzibar are included in the tour, but for the sake of flexibility other meals are left to your own account. Typically, we spend one night in Stone Town and the next three nights in the north of the island at the beach. Your tour leader will be available to assist if you if you have any questions or need activities arranged. Please note that some group members may be starting their tour in Dar es Salaam today. 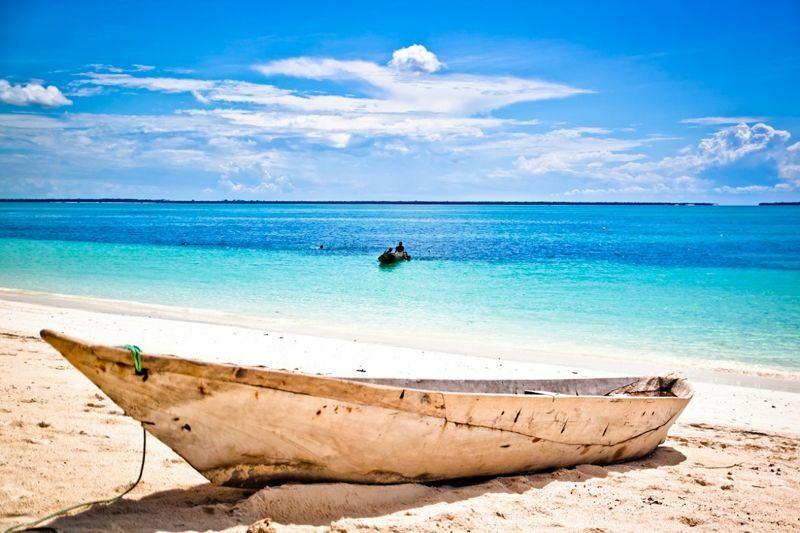 Enjoy free time on Zanzibar and transfer to the northern beaches from Stone Town. Relax on the beach or try one of the numerous optional activities. Please note that some group members may be starting their tour in Dar Es Salaam. Both old and new are invited to join in any group outings. Browse markets or enjoy lounging in a hammock with a cocktail and a good book. The beach is a great place to catch up with the locals who will pass by selling their wares, offering henna tattoos and inexpensive massages. Round the day off with a sunset dhow cruise or chilling to the tunes from the nearby beach bars. Enjoy your last day on the island swimming in the warm ocean, snorkelling in the crystal turquoise waters and enjoy time at leisure in this tropical haven. We have the morning to do any last-minute shopping or enjoy one last swim before catching the ferry back to the African mainland to Dar es Salaam and onwards to our campsite on the coast for the evening. Departing early from Dar es Salaam, we head north past the Usambara and Pare Mountains in the Eastern Arc Mountain Range to Marangu, nestled at the base of the famed Kilimanjaro. The camp takes its name from the surrounding area. “Marangu” means “full of water” in the local Chagga language, and the lush green surroundings demonstrate the truth of this. If weather is clear we will gain a view of the magnificent snow-capped Mount Kilimanjaro, Africa’s highest mountain (5895m). We drive past the town of Moshi and eventually reach Arusha; a city situated exactly mid-way between Cape Town and Cairo. This is Tanzania’s ‘safari capital’, a city of some 2 million people, a bustling melting pot of markets, vehicles and people – all nestling in the shadow of the brooding Mt Meru (4556 m). With time to explore town we head out to our camp just outside the city at the edge of the Masai plains. This afternoon we enjoy a walk to one of the local Masai villages, a local school and clinic, a small but highly interesting Masai museum, and the snake enclosure at the Meserani Snake Park. It is from here that we prepare for our two night/three day excursion to the Serengeti National Park and the Ngorongoro Crater. This morning we transfer to smaller more ‘game park friendly’ vehicles and drive west across the Great Rift Valley, passing through Mto Wa Mbo (‘mosquito creek’) and enter the Ngorongoro Crater Conservation Area. We pass into the park and drive around the ‘Crater’s rim and down onto the Serengeti plains. Green after the rains, brown and burnt in the dry, this is home to an enormous variety of grazing animals, predators, and birdlife. 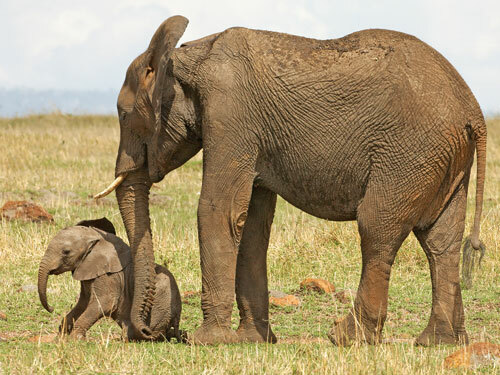 Flatter and larger than the Masai Mara the Serengeti is simply huge – indeed the name derives from the Masai word Siringitu – ‘the place where the land moves on forever’. We game drive to our designated (but unfenced) campsite for the evening where lion and hyena roam nearby for an unforgettable experience. We drive out of the plains, game driving en route, and after lunch ascend the outer wall of the Ngorongoro Crater. We spend the night camping on the rim (you may need a jacket; it can be cold at night due to the high altitude here), where wildlife also roams free. At 326 square kilometres in area the Ngorongoro is Africa’s largest intact caldera and a World Heritage Site. If the view from the rim (2400 metres above sea level) is spectacular, the site from the Crater floor (some 600 metres below) is equally enjoyable. We wake early and descend the steep dirt road of the Ngorongoro Crater for a morning of game driving in this spectacular wildlife haven. 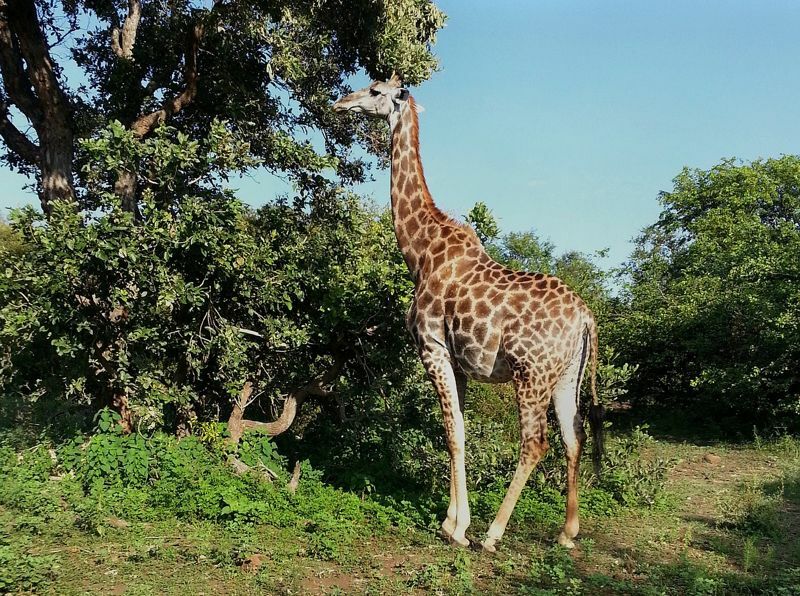 All of the major mammals are present except giraffe (which cannot manage the steep slopes leading down onto the Crater floor). After our game drive we ascend to our campsite on the rim for a final view over the Ngorongoro Crater, pack up our camp and have lunch before retracing our steps to Arusha and our campsite at the Meserani Snake Park where we will overnight.